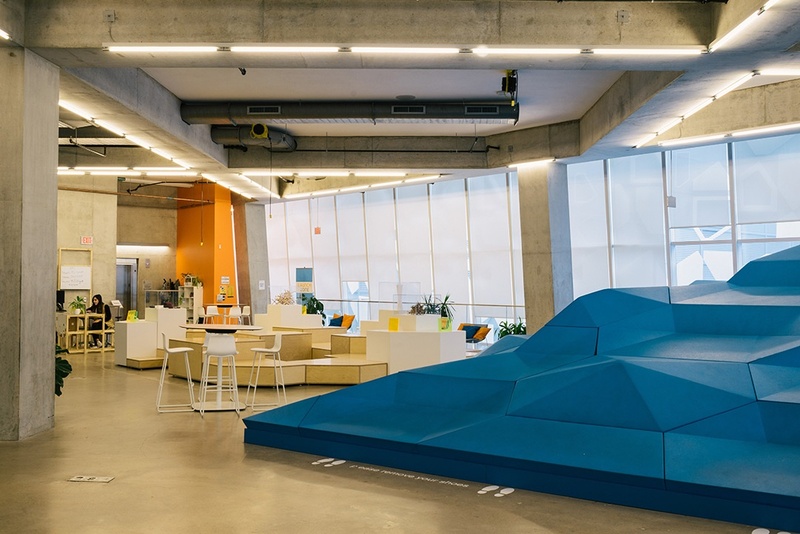 One of our upcoming field trips will be to Sandbox, the community arm of DMZ at Ryerson University, North America’s leading business incubator! Sandbox launched only a few months ago in February of 2017. It is a collaborative space that provides students and the community access to creative, digital and entrepreneurial skills and opportunities. Their programs are free, interdisciplinary, hands-on and skill-based. We talked to Ramsha Naeem, the marketing coordinator for Sandbox, to discuss what Sandbox brings to the table, who uses it and how its mission aligns with Hatch Canada's. Thanks for taking the time to speak with us, Ramsha! Who uses Sandbox? What's the demographics of those who take part in the programs? Sandbox provides a broad range of skill-based programs that empower individuals and communities of all ages to reach their full potential. 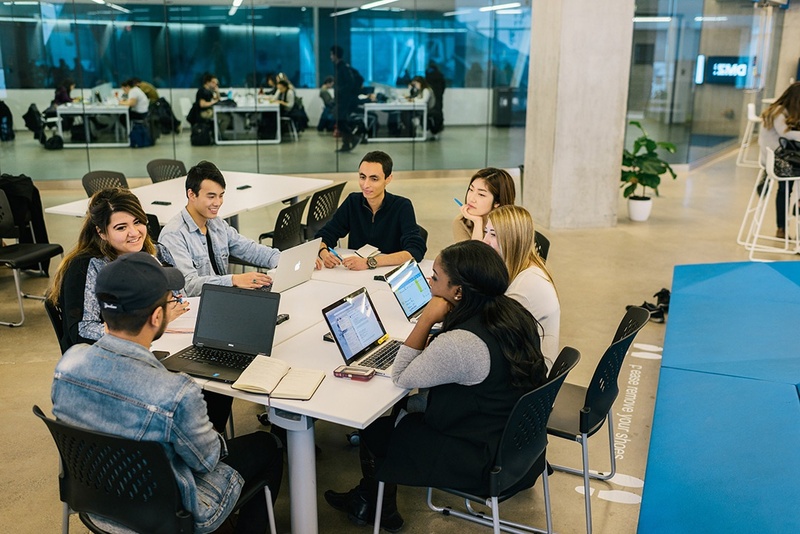 Housed in Ryerson’s Student Learning Centre, students are at the forefront of our offerings; however, as an open space we cater towards all individuals who are eager to learn new things and become more employable. Upgrading your skills and learning new skills is so important, as technology changes all the time. It can be hard to keep up on your own! What do you see as the biggest benefits of Sandbox's offerings? Sandbox programs are free of charge and open to anyone interested in joining – bringing together students, entrepreneurs and the community at large. The programs are multidisciplinary – spanning the worlds of art, business and technology - teaching a curated combination of skills that are practical, relevant and in-demand. As the community arm of a tech incubator DMZ, we leverage relationships and partnerships of the DMZ to deliver value. Furthermore, associated with Ryerson University and Ryerson’s Zone Network, we are always aspiring to create a culture that fosters entrepreneurial and innovative thinking. How inspiring! Creativity and innovation are so important and need to be nurtured. What are the programs offered by Sandbox? Basecamp: A 6-8 week long incubation program for young entrepreneurs designed to help innovate ideas and gain market and customer validation. Digital Discovery: A program series offering a glimpse of the creative and digital marketing industry through workshops ranging from Snapchat for business, to Adobe Creative Suite, to web development, to email marketing. Knowledge Drop: A program series providing an inside look in the entertainment industry with a focus on music and sports. Design Thinking: A program delving into the fundamentals of the creative approach of design thinking through interactive workshops. Craft + Consult: A 6 week long program working with consultants to dive deep into the world of consulting. Financial Literacy: A program focused on educating students on topics such as loans, personal taxes, budgeting and saving. INK - Innovate with your Kid: A program bringing parents and children to learn and create together while focusing on concepts of personas, marketing and technical learning. Wow, your programs sound like they would be both fun and challenging! Who runs these programs? Working with a broad range of community partners, Sandbox facilitates and executes over 15 programs that teach a holistic combination of creative, digital and entrepreneurial skills, including design, coding, public speaking, financial literacy, prototyping, digital marketing and more. Diversity is key. Where do you see Sandbox in 5 years? 10 years? Sandbox aims to become the go-to space for skill development and allows for individuals to be able to generate ideas that can go on to become tangible products/services/concepts. That is so incredible, we can't believe the programs are free! This could change the world! Where do you see similarities between Hatch and Sandbox? Both entities are working to educate youth on the technical and innovative skill-sets that are in high demand in marketing currently. By educating early on, the chances of youth getting a competitive job upon graduation are increased. We couldn't agree more. It is so important to start learning these skills at a young age as it gives students an incredible head start in a very competitive and demanding industry. We are so excited to have the opportunity to bring Hatch kids to Sandbox. We know they'll be inspired by your incredible community hub. You never know, they might end up teaching or learning there one day. Want your child to have a leg up on the competition? Read about our amazing programs, try us out for FREE or email us at hatch@hatchcanada.com to find out more. If you want Hatch to teach in your school, please visit this page of our website to learn more. And if you loved this post, don’t forget to share it on Facebook to spread the word.